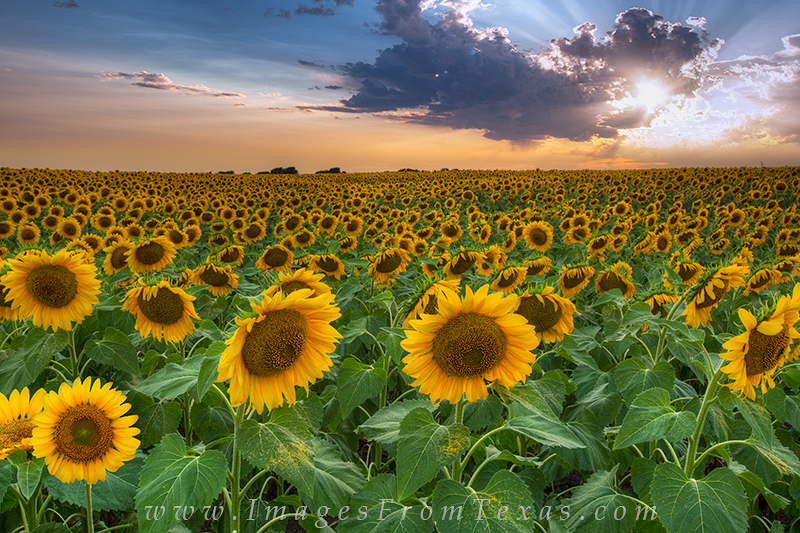 I discovered this sunflower field when driving to Dallas to shoot the skyline from a highrise. I decided to take the road a bit less traveled between Hillsboro and Waxahachie. To my amazement, this golden field of sunflower stretched for nearly half a mile, whith yellow flowers as far as I could see. I couldn't linger, but instead returned here several times over the next week to shoot this location, each time hoping for a good sunset. I was fortunate with a weather pattern that provided some wonderful skies. This is the first take from that location. Photo © copyright by Rob Greebon.